It was also a nice sunset! It is an EXCELLENT TIME TO BUY NOW, especially for first time buyers, second home buyers, investors and move up buyers. 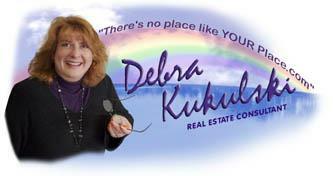 Copyright © 2010 By Debra Kukulski, all rights reserved. Lights OUT Saturday 3/27/10 8:30-9:30 P. M. for Earth Hour 2010!